The air operator’s certificate of Ukrainian carrier Dniproavia expired on October 4, the country’s State Aviation Administration reports. The airline used to be the largest Embraer ERJ145 operator in the CIS. Earlier, Dniproavia had transferred its aircraft to Windrose Airlines, another Ukrainian carrier. 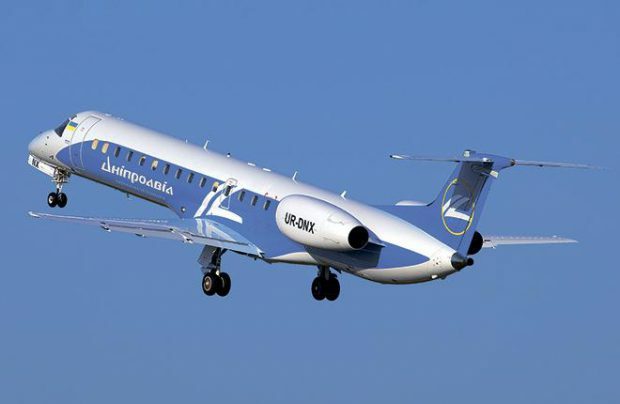 Windrose’s fleet currently includes seven Ukrainian-registered 50-seat Embraer ERJ145 jets manufactured in 1998-2003 (UR-DNG, -DNB, -DNF, -DNR, -DNT, and -DPB), all of them previously operated by Dniproavia. An Embraer source confirmed for Russian Aviation Insider that Dniproavia no longer have any Brazilian-manufactured airliners. The move to transfer the aircraft may have had to do with the recent privatization of Dniproavia. The carrier is now involved in a series of litigations in Ukraine. It is quite possible that the owner of both airlines, Ukrainian businessman Ihor Kolomoysky, is thus trying to secure the airliners so as not to lose them. As of early November, apart from the seven ERJ-145s Windrose Airlines also had one Airbus A320 (UR-WRM, manufactured in 1996), one A330 (UR-WRQ, manufactured in 1999), and three Airbus A321s (UR-WRJ, -WRH, and -WRI; built in 2002, 2005, and 2006 respectively). In June and July the company received three Hawker 800XP/850XP business jets (UR-WRR, -PRT, and -WRS, built in 2003, 2004, and 2007. respectively). According to Dniproavia, in 2016 the carrier performed 3,324 scheduled flights (up 4% on 2015): 1,844 domestically (-14% year-on-year) and 1,480 internationally (+41%). The airline also performed 148 charter flights (-20% year-on-year).